I have written before about how much support I have gotten from social networking (Twitter, Dailymile, Facebook, etc…). This week was yet another case of that. 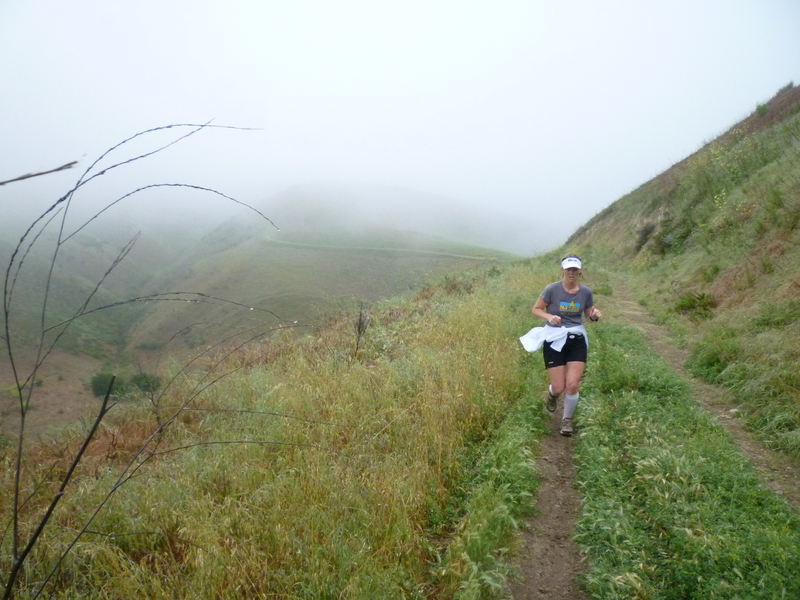 I am thinking about taking my running to a new place; off the road and onto the trails. And thanks to finding someone local that has a passion for trail running I am considering doing an ultra distance event on the trails. I have met some awesome people/athletes through Twitter and the Dailymile that have experience with doing ultras. I tweeted them this week to say I was thinking about doing a 50K and I got a reply that really helped me commit to it. “Which one? & what’s this “might” stuff? Go for it!! See it, say it, Make it Happen! !” was the reply. It was the “say it” part that got me charged up. Once you “say it” in one of these social environments, your support group (crew) immediately grows; as does the accountability level. Having those people to lean on for support and watch over you as you train will help keep me honest in my training. It motivates me in a way I never knew possible! I am so lucky to have connected with people that share this passion. What will you all help me do next? 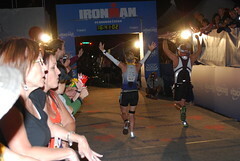 I’m gonna need you big time for my first full Ironman in 2012! This was my last push towards training for my first 70.3 coming up in April. I got a little derailed one weekend by an overzealous birthday celebration. Then the next weekend had terrible weather (LA Marathon weekend) so I ended up up doing a lot of indoor bike training. 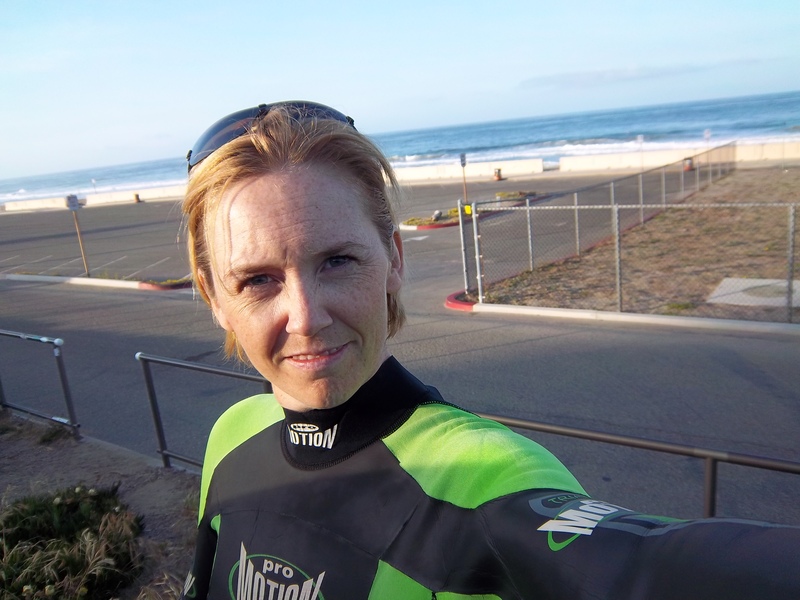 I really wanted to get one more long outdoor ride in before going to Oceanside. 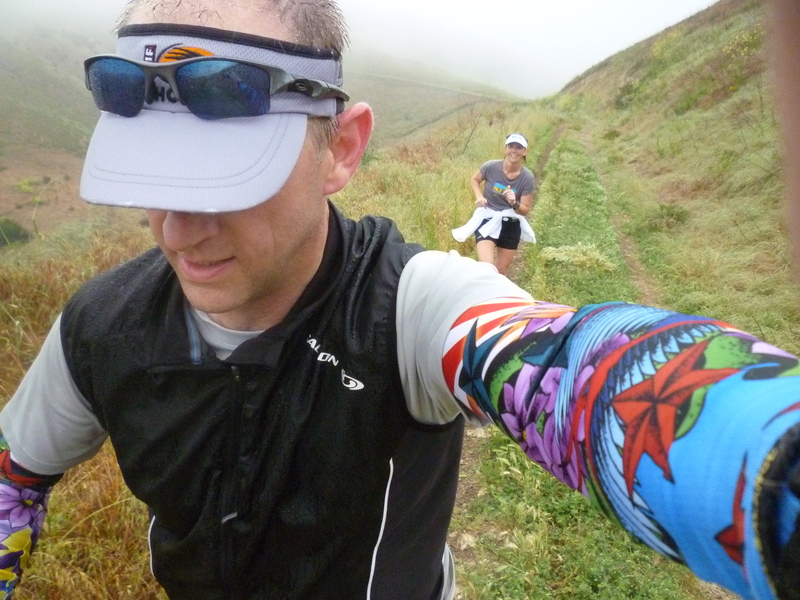 My first race report was written for a friend’s blog, Michael Runner. This was the first time I had ever written anything about my training/racing. I thank Michael for giving me the opportunity, and for getting the ball rolling for my own blog. I said I would never. I should know better than to say that! There was a point in my life where I never thought I would be able to run a marathon. The concept of running for 26.2 miles just seemed absurd! I was not an athlete and only an athlete could do that. But then I started running. Little by little the things I couldn’t do became things I could do. Running up the hill out of my neighborhood, running continuously for 3 miles, running continuously for 5 miles, running up the hill back into my neighborhood, etc… All of these things got easier. Eventually I was doing things I never thought I could have done before. Enter my first half marathon. Not only did I do it, but I never walked, and I finished so much earlier than I expected my friends missed the finish! I did something I thought I would never do AND I beat my expectation of how well I thought I would do. Sooo lately (last 20 months) as I have been training a lot. And as a result I have become more aware of what my body can handle/do. I thought that I would stop exceeding my goals when racing because I am pretty in tune with what I can do; what pace I can run/ride/swim. But I haven’t! Last marathon I beat my goal by 8 minutes. Last half marathon I beat my goal by 8 minutes. 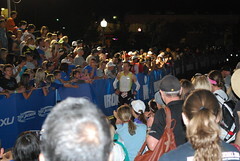 For my first half Ironman I met my ultimate time goal of under 6 hours (by 19 seconds)! Last night I did a duathlon with the local Triathlon Club (Rincon Tri Club). A 2 mile run, 6 mile bike, 2 mile run. My goal was to do both of the runs in a sub 8 min mile pace. I did the opening one with a 7:31 overall pace. Really happy with that! I went out did the bike and got back to do the second run. I felt a little sluggish off the bike but just wanted to get my pace under 8. I pushed myself as hard as I could for the last mile; trying to pass as many people as I could (those who passed me on the bike). To my astonishment I ran the last mile of this sprint duathlon in 7:08! I have NEVER run a mile that fast…EVER!!!! It was an awesome night! I can’t wait to see what expectation I exceed next! WARNING!!!! The sappy-factor maybe a little high in this post. One of the things I had found missing in my training was people who understood me. Up until very recently it was common for many of the people in my life to ask me “why?” Why do you want to run? Why do you get up so early? Why would you do a marathon? Why would you want to do an Ironman? I didn’t have enough people that understood why I was was running or training. I had a few people I trained with who got it but I still felt like I needed more support. Specifically support from people who understood what I was going through. Enter social networking. I had been active on Facebook for awhile but that was mostly to keep in touch with those in my life that I no longer could see or talk to on a regular basis. But I needed contact with people like me; not just people from my past/present. So someone told me about Dailymile. I joined and started logging my workouts. Loved it! But once I finally started twitter it all came together. I am now surrounded by a community (a village, if you will) of people “like me”. People who understand why I get sad after a big race is over. People who understand why taking a day or two off from training can feel like the end of the world. People who get excited when you sign up for an even bigger challenge than the last. With the use of sites, geography doesn’t matter! You can connect with anyone almost anywhere. So I am thankful for the people I have met and those I haven’t yet. It is because of you that I will accomplish things that I never thought I would. 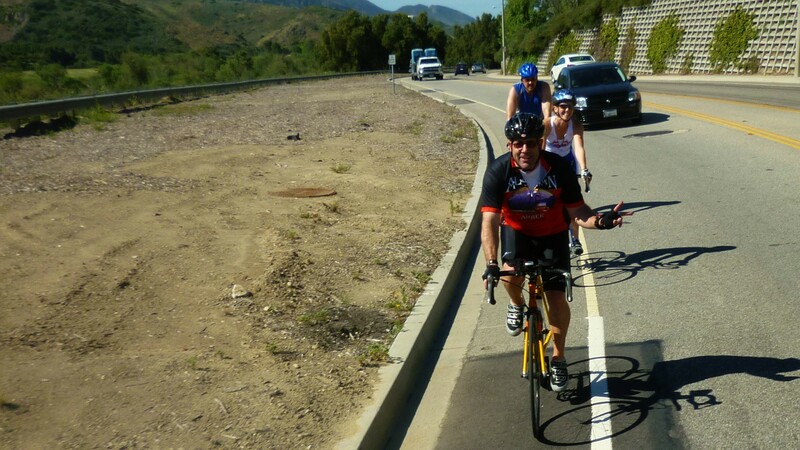 *Picture was taken by one of my village people (@Quadrathon) of @bfrein , me, and my husband on a ride.